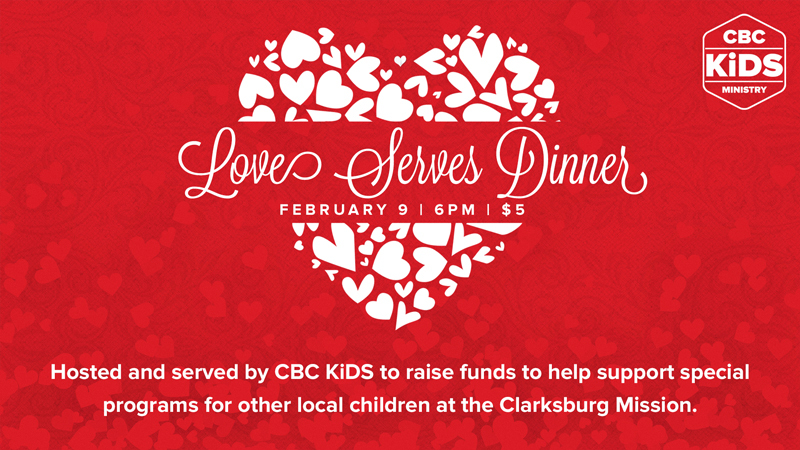 We are excited for the CBC Kids’ Love Serves Dinner on Saturday, February 9, at 6PM. This dinner is hosted and will be served by the incredible children in our church as a way for them to raise funds to help support special programs for other local children at the Clarksburg Mission. The cost is $5 per person. We hope you will plan to attend the Love Serves Dinner and support CBC Kids’ efforts to give back to other children in the community.